Here’s a snapshot of our first official We Are Thought Fox meeting of 2013. You can tell it’s all serious business. 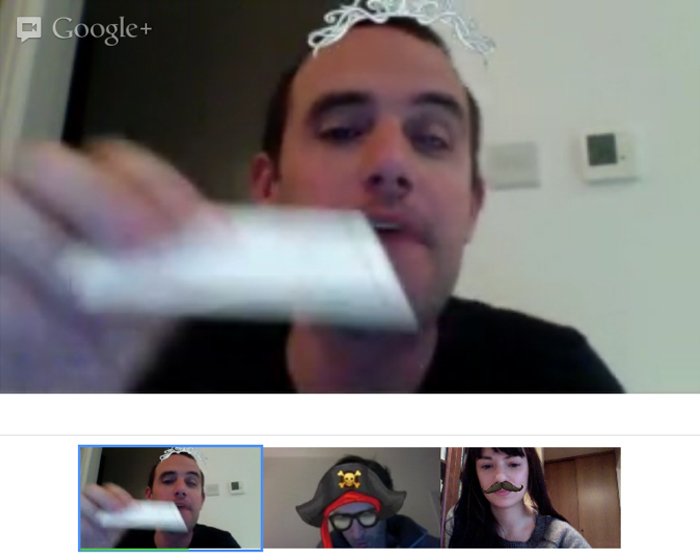 Thanks for the props Google+ Hangouts.